A learning management system (LMS) is a web-based software application that allows companies and educational institutions in tracking, administration, reporting and documentation delivery of training, programs or educational courses. Learning Management Systems are one of the classic tools of learning, upon which all training modules and online courses are built. There are numerous way learning management system benefits an organization and some of the important benefits of Learning Management System are listed below. One of the important benefits of learning management system is its endeavours a centralized source of learning. 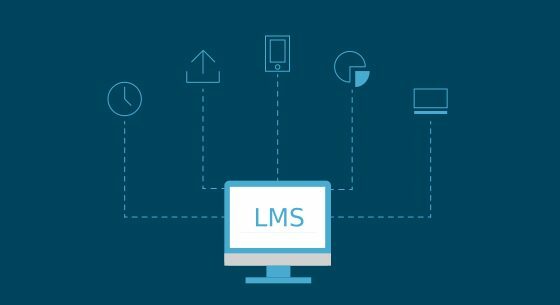 Lms supports in storing all eLearning materials in one location and which reduces the possibility of losing essential data and makes it simple to create eLearning course. These systems ensure consistency in the evaluation and delivery of the material. And also support the multiple user to access the information at the same time. The cloud-based Learning Management System data will be stored on the remote server. This makes Learning Management Systems an essential fit for online collaboration. The Learning Management System gives the ability to maintain and record the learner progress and also ensure to track the learner performance. In case the online learner is not able to complete an eLearning course,than the supplemental resources can be offered, to improve performance or learning behaviors. Reporting and analytics tools in Management Systems feature allow organizations to identify the areas of lacking and allows the learner to increase the efforts in the key difficult areas. The important benefits of Learning Management System is, it saves time and cost by reducing the instructor travel cost, materials cost and site accommodation cost. LMS is practically cheaper to deliver than traditional face to face courses.And also reduces the material printing cost, as all the information online learners require are available in the LMS. Easy Upgrades the learning management system offers a centralized location for information. which reduces the time of upgrading or changing information or content. It is simple to make a change in the forms, product descriptions, specifications or requirements. And learner will get upgraded information at the same time. In order to upgrade information in e Learning course, the user can login to the Learning Management System and make the necessary modifications without revamping entire eLearning course. A Learning Management System allows to integrate social learning into eLearning strategy. Which increase the quality of the course. As LMS is operated in online it allows the user to include links to Twitter pages, Facebook, LinkedIn groups, and Online forums, which will be beneficial for learners. Online presence in social media sites can attract new user and also increases the popularity of the organization. Omkarsoft is well know web development company in Bangalore, we build a smooth transaction Learning Management Systems websites from desktop to mobile platform. we have developed number custom themes that assist us in the reduction of cost and time in developing the website.